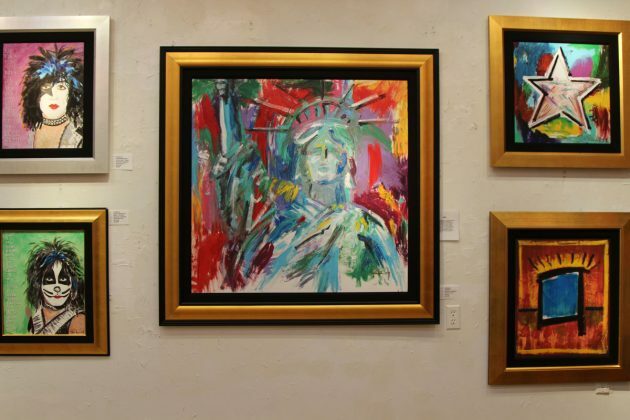 Stanley creates portraits and abstracts with an emotional charge, where paint is thickly laid on and the color pops. 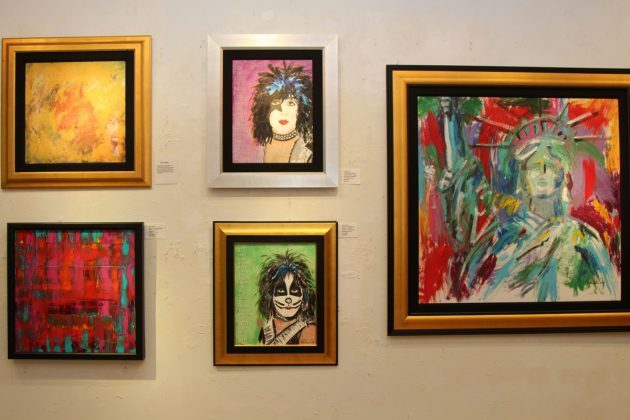 His portraits are of blues singers, the other KISS band members, women he admires and a freedom series. 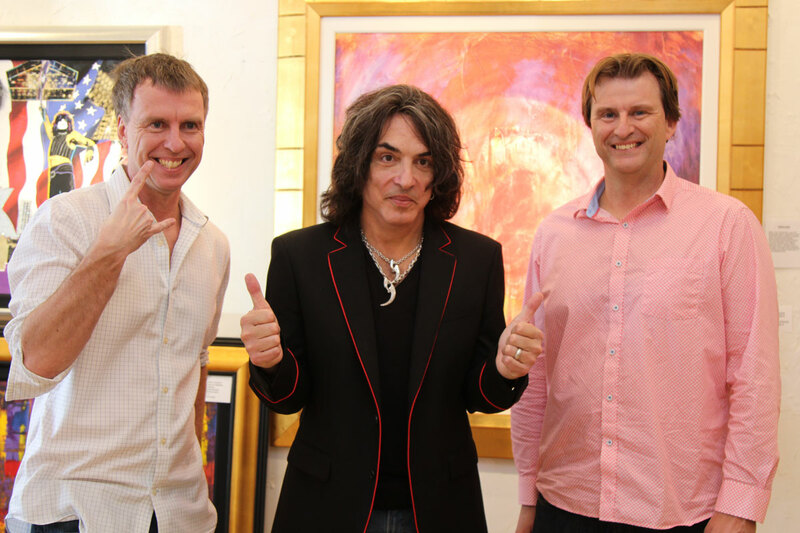 Singer, songwriter, painter Paul Stanley of the super group KISS wearing jeans, silver sneakers, and a fitted black jacket piped in red, strode into the Wentworth gallery on Las Olas Blvd. to take a different kind of center stage. The gleaming gallery in the heart of Fort Lauderdale’s most charming thoroughfare, is hosting a solo exhibit of Stanley’s paintings and mixed media art work. Super group KISS became one of the biggest bands in rock because in addition to their anthem ready songs, they had striking visuals. The festooned bodysuits, face paint, stage sets and logo set them apart with a cartoonish rock god image that became a mainstream sensation. A major part of the look is the KISS logo, that jagged lightning bolt font that screams electric energy. The logo was designed by band member Ace Frehley and refined by Paul Stanley, who had been dabbling in art and graphics since his teens. Stanley remembers hand drawing flyers for early gigs with a sharpie and a ruler in his parents’ apartment. 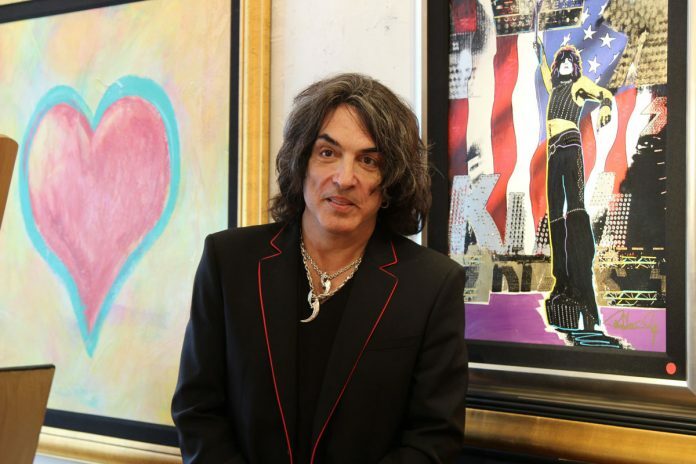 Paul Stanley debuted a solo show at Wentworth Galleries in Fort Lauderdale and Boca Raton. His work ranges from paintings, mixed media originals, and limited edition print artworks and acrylic guitar sculptures. 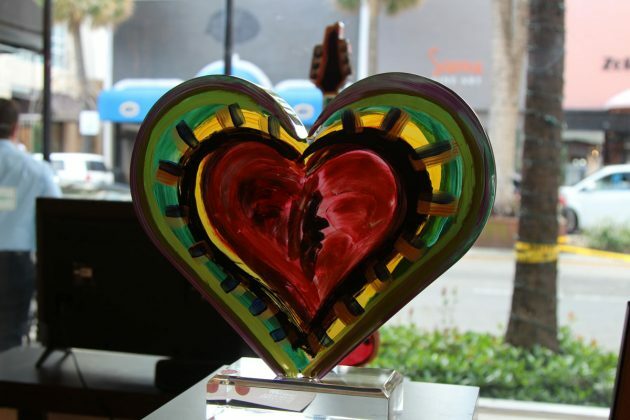 Some of them are painted on thick shaped plexiglass, a medium that gives another dimensionality to it. Stanley fussed with several of the back lighted plexi pieces to get it just right. KISS became one of the biggest bands in rock because in addition to their anthem ready songs, they had striking visuals. The festooned bodysuits, face paint, stage sets and logo set them apart with a cartoonish rock god image that became a mainstream sensation. A major part of the look is the KISS logo, that jagged lightning bolt font that screams electric energy. The early logo was designed by band member Ace Frehley and Stanley refined it as he had been dabbling in art and graphics since his teens. He also hand drew many of the bands early show promotion fliers. Along with logos by the Rolling Stones and The Ramones, it’s one of the greatest of the 20th Century. Stanley also designed the band’s CD graphics. 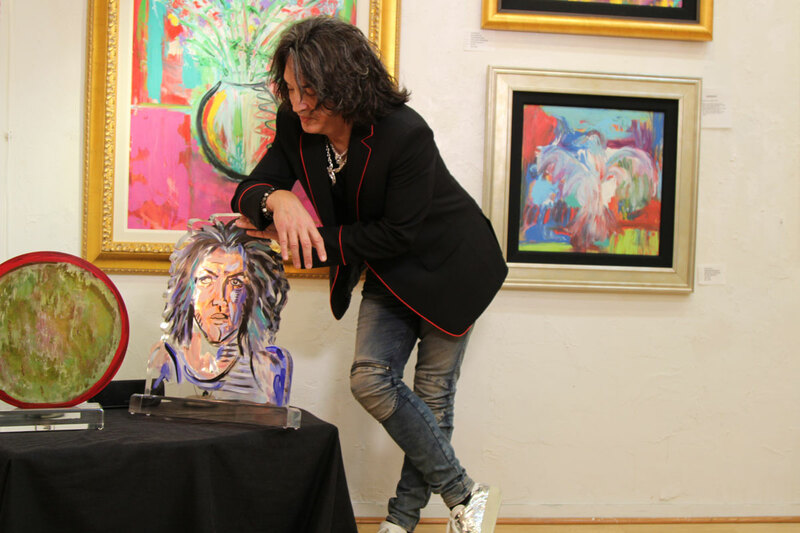 Stanley’s Collection of originals, mixed media originals, and limited edition print artworks and acrylic guitar sculptures is currently being showcased in Wentworth Gallery locations throughout the United States. Stanley scheduled two meet-the-artist appearances — Friday, February 9 at Wentworth Gallery on Las Olas, Ft. Lauderdale and Saturday, February 10 at Wentworth Gallery in Boca Town Center, Boca Raton. Stanley creates portraits and abstracts with an emotional charge, paint is thickly laid on, and the color pops. His influences include Kandinsky, Mondrian, Paul Klee and Rothko. 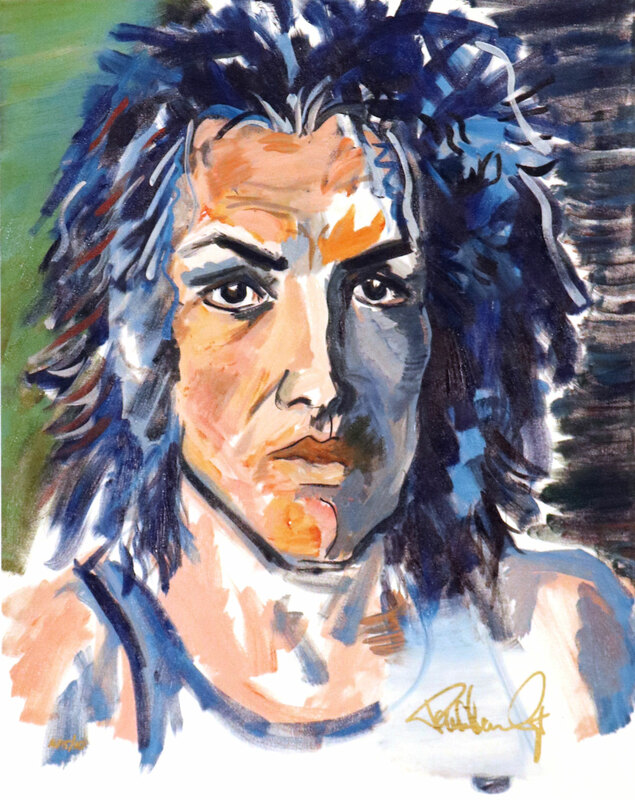 His portraits are of blues singers, the other KISS band members, women he admires and a freedom series. 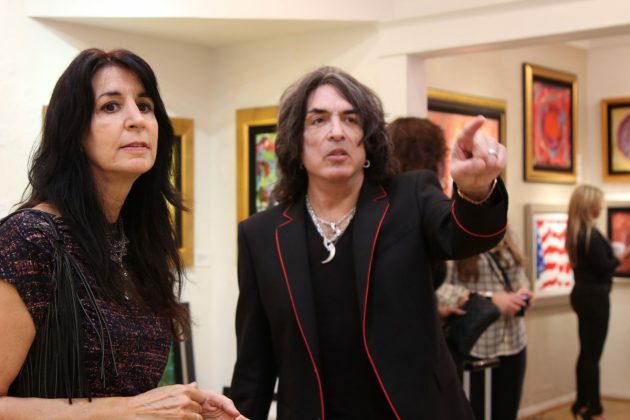 His art career success has translated into over 2 million in sales to date. 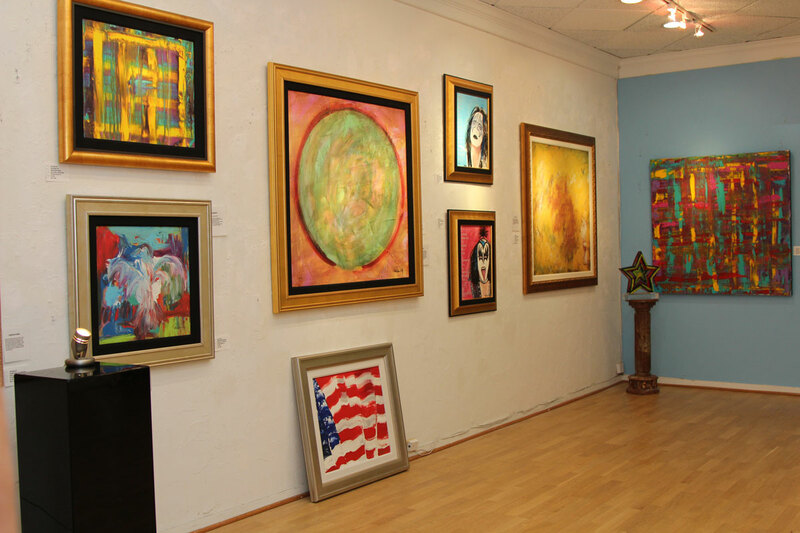 He aims to maximize the direct, physical impact of his paintings through scale, texture, color and simplicity of images. 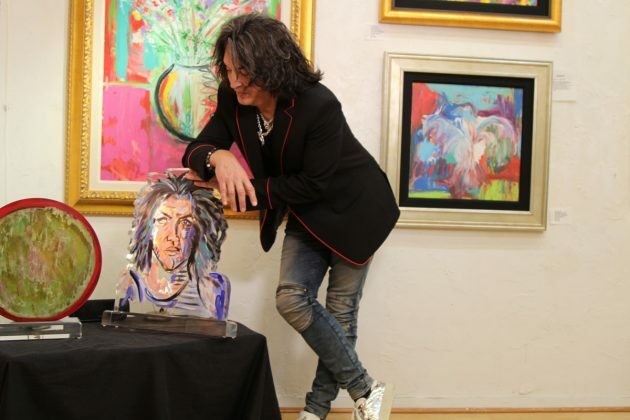 In a few short years of exhibiting, Stanley’s works have been acquired by numerous art collectors and he has been commissioned to create large works to be displayed internationally. There’s still a lot going on with KISS, like the KISS Kruise, which is back for an eighth mission of rock ‘n roll adventure from Miami on October 31 to November 5, 2018. There’s also a bunch of headline festivals in Spain this summer. But even though, Paul Stanley is very much focused on what he’s doing with art now. If you go, visit www.wentworthgallery.com for more information about the exhibits. This story was also updated by the writer on Sunday, February 4 at 3:05 p.m. to correct a sentence in regards to the creation of the KISS logo. 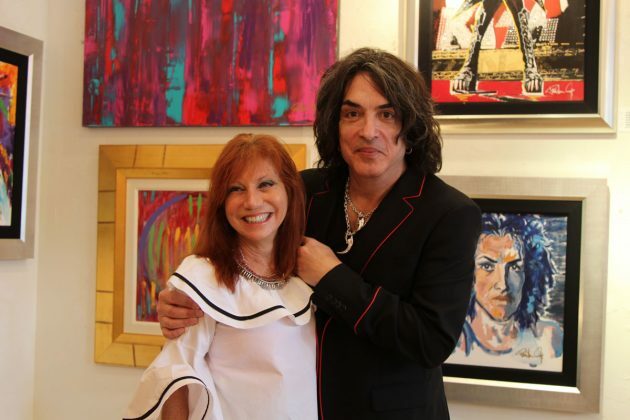 Paul Stanley of KISS has solo art exhibits in South Florida at Wentworth Galleries on Las Olas and Boca Town Center. 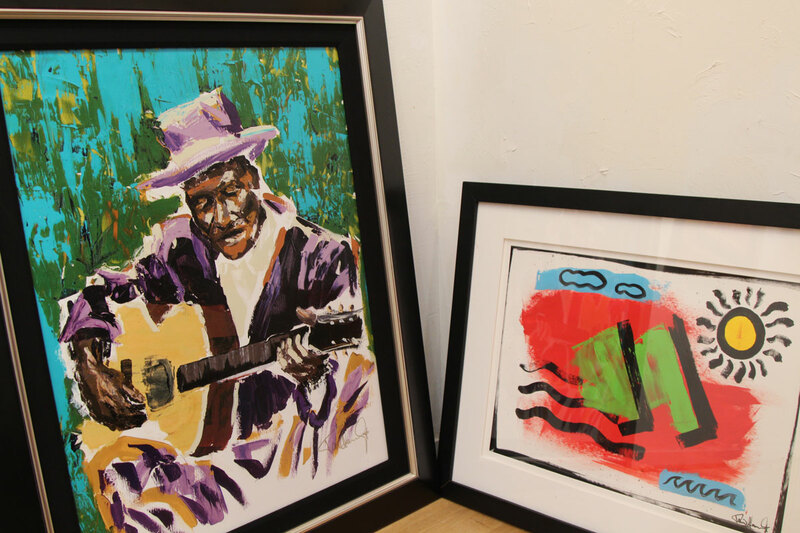 Some of them are painted on thick shaped plexiglass, a medium that gives another dimensionality to it; a collection of originals, mixed media originals, and limited edition print artworks.